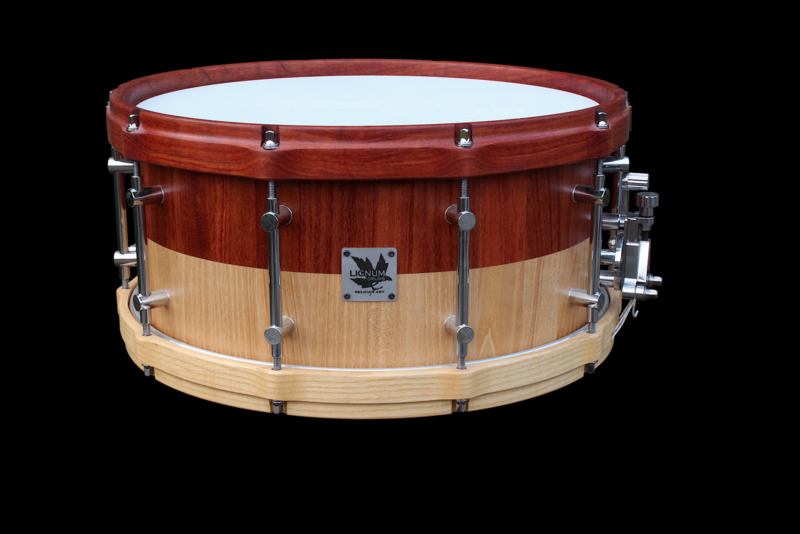 These snares are exclusively finished with matching steam bent woodhoops. 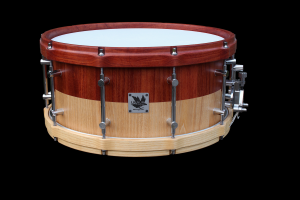 They’re made from the same batch of wood like the shell is made from. 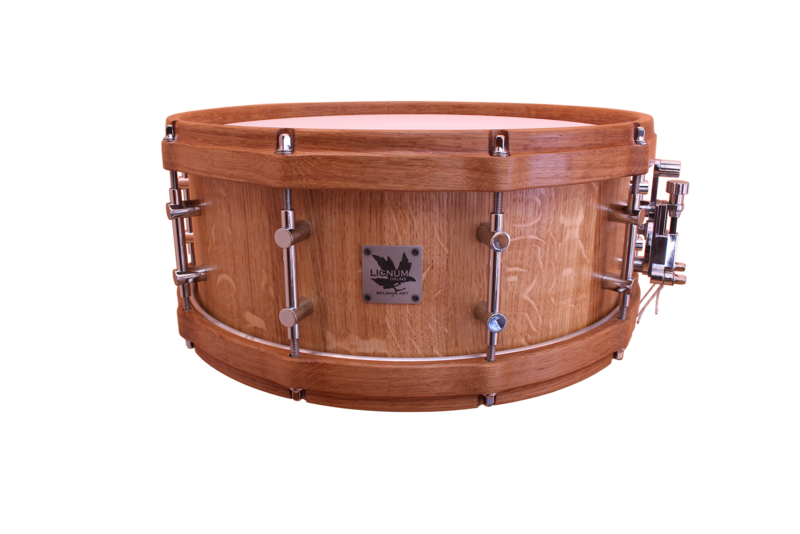 The sound is ultimate warm and rich, with a great focus and only a little shorter sustain compared to steel hoops ! 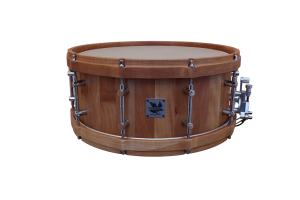 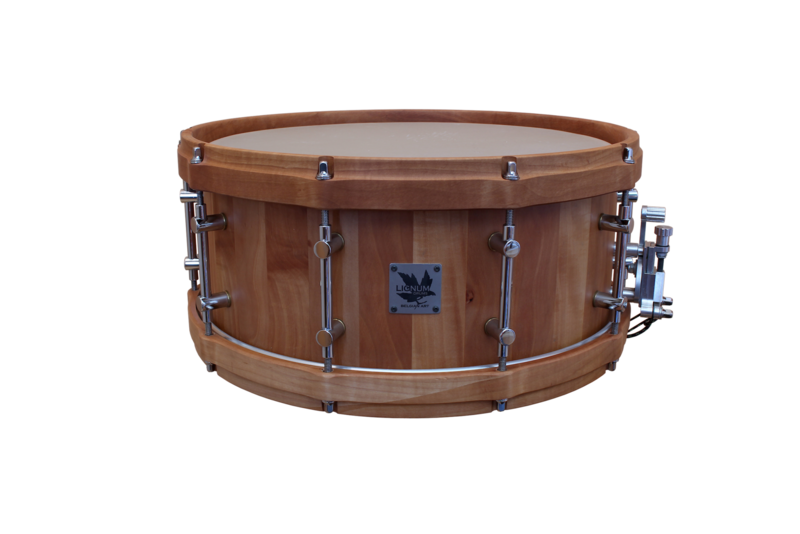 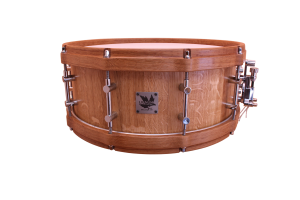 Between drummers there’s a wrong myth that says, “when your snare is having too much sustain, you just need to put on some woodhoops to make a dry sound”…..Well, if this is the case with your snare then you have some badly made woodhoops for sure ! 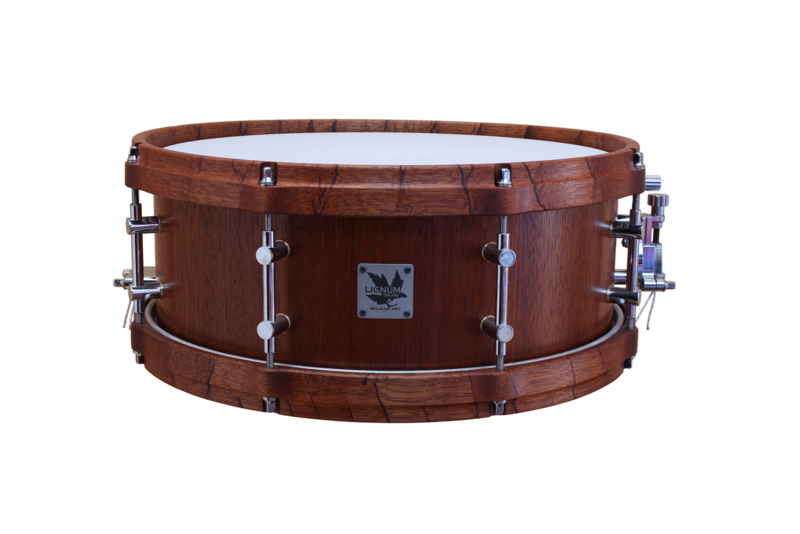 Rimshots are surprisingly loud and have a warm woody tone. The rimclics are much lower than any metal hoop. 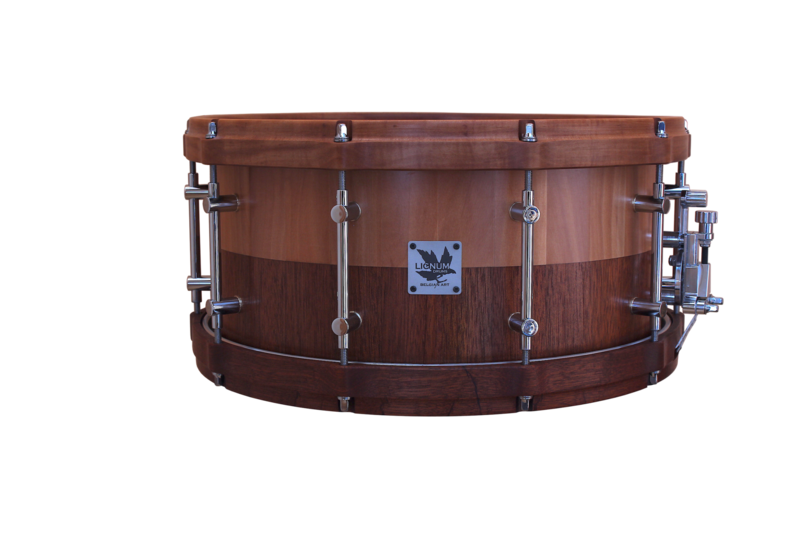 The weight of this woodhoop snare is only around 3,2 kg ! 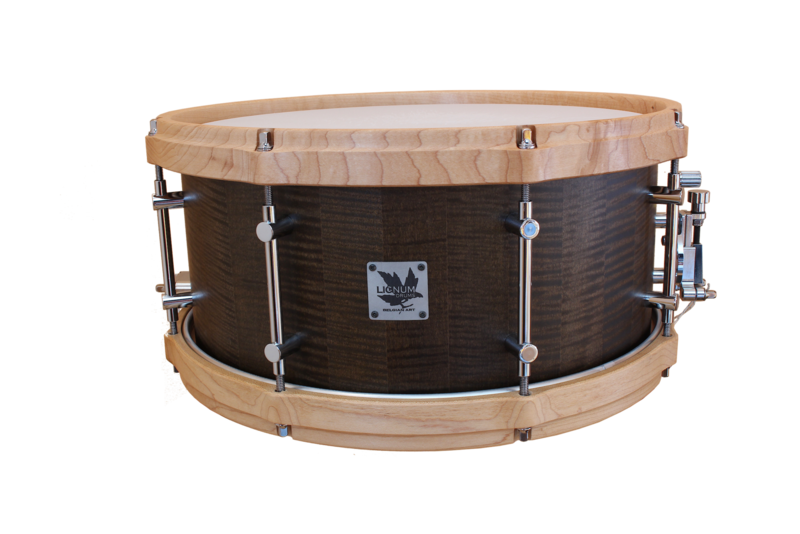 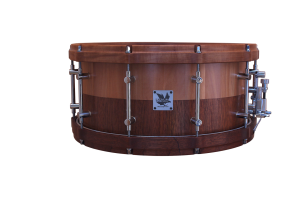 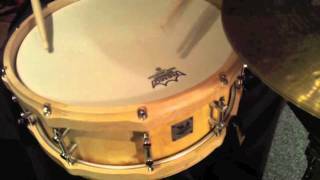 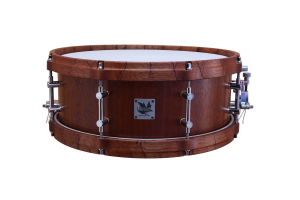 This is great for touring drummers who really can’t miss their personal Lignum snare sound.